Jim Knopik has been farming longer than anyone in the room. 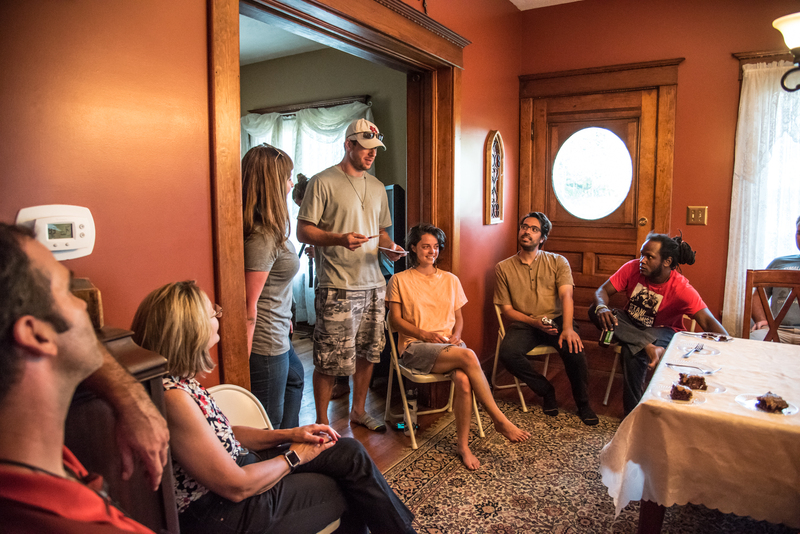 When it’s his turn to address our impromptu gathering, he glances around the dinner table, briefly making eye contact with a few of the twenty so or folks here—many of whom he’s inspired or mentored over the years—then launches right into it. Jim apologizes and leans forward in his chair, resting on his elbows, overcome. It’s a long moment. Everyone firmly but silently communicates their support. And for our three-member Leap delegation, it really hits home that this is not going to be an ordinary listening session. 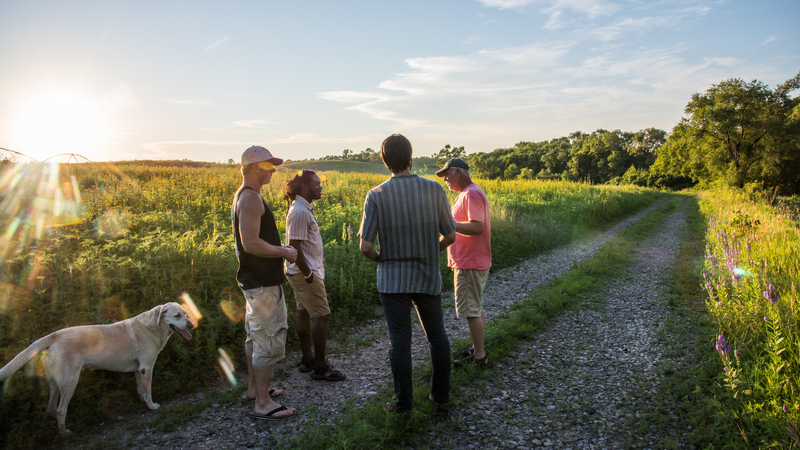 On a research trip to the Omaha area, we’re meeting with a group of Nebraskans who champion a small-scale, sustainable approach to farming known as “regenerative agriculture,” to hear about their hopes and challenges going up against the corporate status quo. Nobody here who knows Jim has heard him talk like this before. How did we get here? 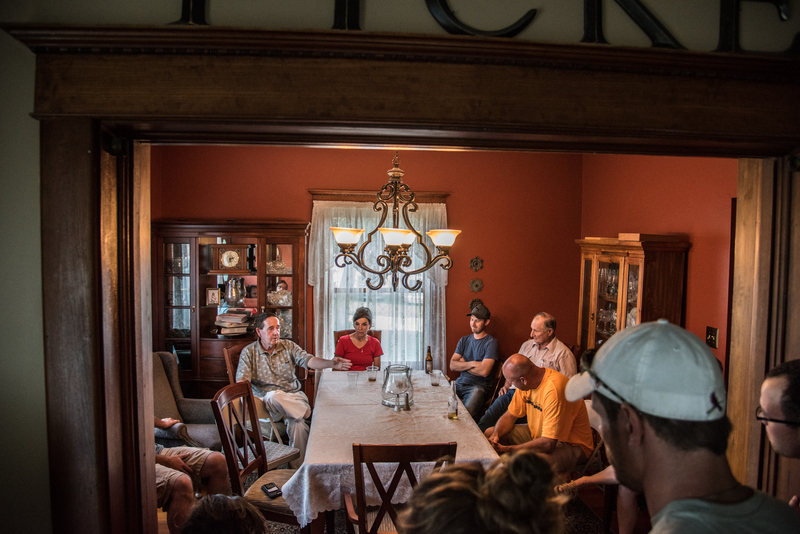 “My grandfather said the day the horses left and the tractor came was the day we replaced community with competition,” says Del Ficke, a leader in the local regenerative movement who’s hosting this discussion in his dining room. With the rise of Big Ag, you no longer had “neighbors working collectively to get the job done.” Instead, farmers got close to their corporate “captors” and increasingly decided to go it alone, to buy that bigger tractor, “never to talk to the neighbors again.” It’s a form of agriculture that was never capable of providing a good life, or sustaining good places to live in, we hear over the course of the meeting—and it’s brought us the near-extinction of small farms, along with the small-town economies that once surrounded and supported them. This ravaging of rural communities is caused by some of the same forces that are driving climate change and economic inequality: huge monopolies that dominate our political system, hell-bent on extracting maximum profits while poisoning the earth and the people. 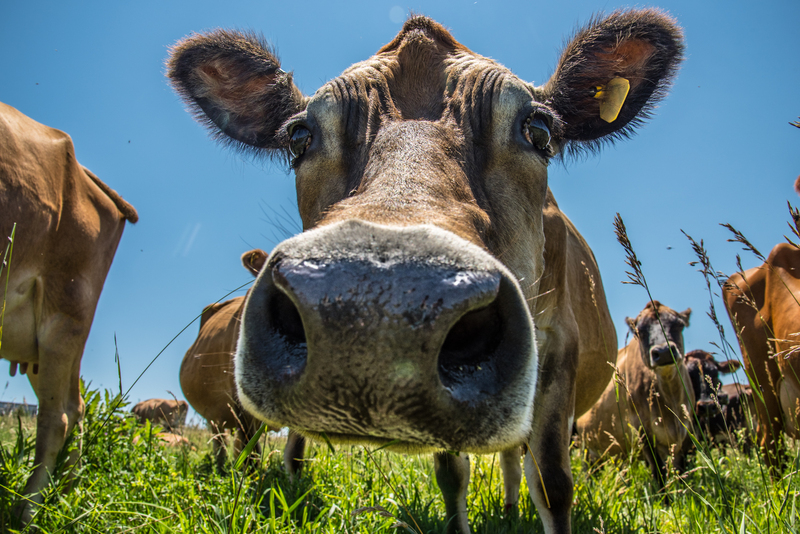 As with so many other sectors, U.S. agriculture has seen a relentless march towards “vertical integration,” with large corporations gobbling up more and more of the production and distribution process for their products. Farmers are left to contend with concentrated power at every turn. Perhaps best-known are the agribusiness giants like Monsanto that sell them seeds, fertilizers and pesticides, and technology; but just as insidious are the handful of big processors, meatpackers, and retailers that buy their food (while ruthlessly holding down prices), pack it in bulk, and ship it everywhere. Indeed, “degenerative” agriculture is already notorious for its exploitation of migrant workers, as well as the farmers who raise animals owned by Tyson or Cargill under abusive contracts; for confining and brutalizing those chickens, hogs, and cattle, and churning out industrial food worthy of the name—homogenous, unfulfilling, even life-threatening; and for pummeling the land and water with fertilizers, pesticides, and waste. Those chemical inputs are not only greenhouse-gas intensive to make. Their widespread, intensive use is also bringing us closer to the climate cliff, by degrading the soil and slashing its capacity to store carbon. They come with crippling price tags, too—and then the farmers are battered even further by the droughts that this food system is helping to fuel. The Leap Manifesto—in one of its 15 demands sketching out an integrated response to the crises of our time—calls for “moving to a far more localized and ecologically-based agricultural system.” But in truth, the North American climate movement has not focused nearly enough on agriculture, even though we’ve long understood food justice as a key site of struggle around the world. 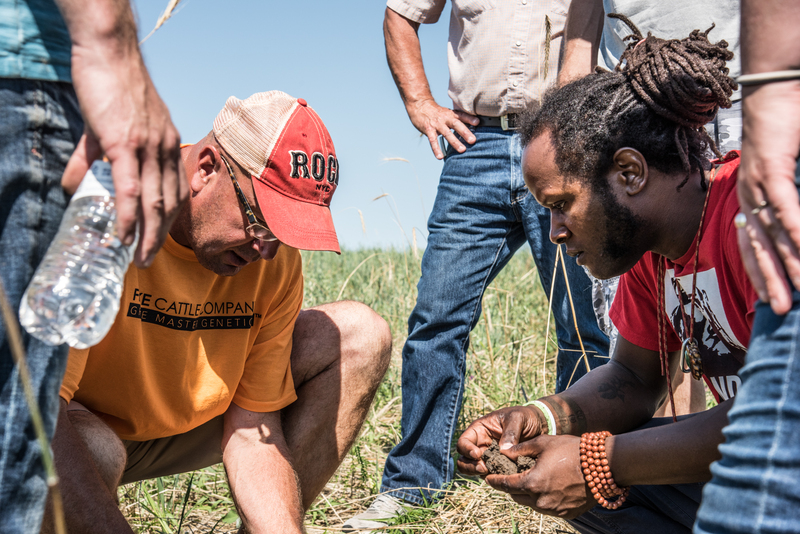 In this part of Nebraska, we see firsthand just how urgent and valuable that task is. Our new friends are doing something extraordinary: at the same time as they battle Big Ag, they’re seeding the alternatives that can rise up to replace it. 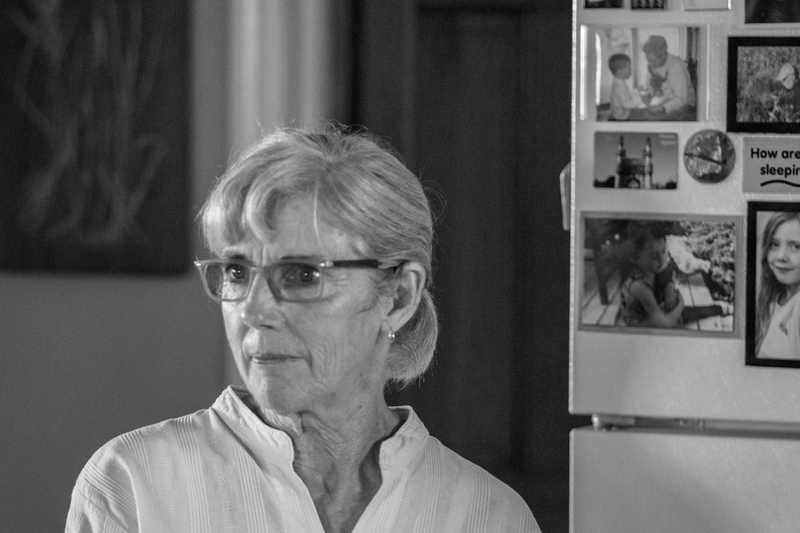 Nancy O’Conner and Randy Ruppert are leaders in a growing campaign against Costco, which wants to build a plant on the nearby Platte River that would process a staggering 1.7 million chickens per week—owned by Costco, but raised on contract in factory farm conditions—while further menacing the area’s already polluted water. For the first time, this project would gift a retail conglomerate with total control over one of its supply chains, stretching all the way from egg production to the infamously cheap rotisserie chickens sold in Costco’s stores. Nancy and Randy’s conservation farm in Nickerson is the first stop on our trip. 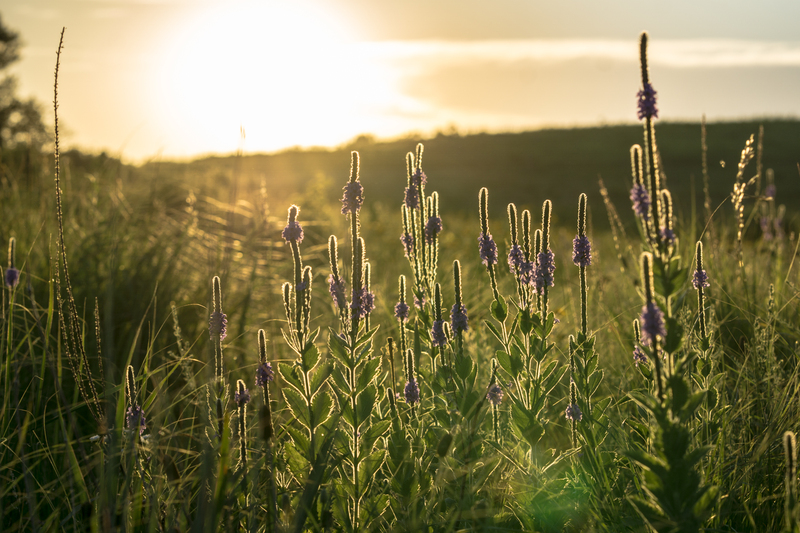 Across 65 acres, they’ve spent the last nine years painstakingly restoring the grasslands native to this prairie. 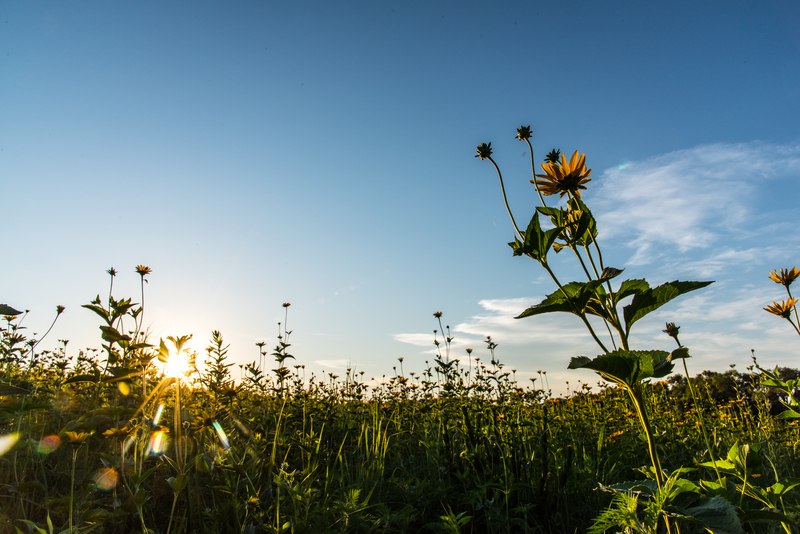 Brimming with biodiversity and colors that have disappeared from much of the state’s grazing lands, it is a stunning introduction to Nebraska’s regenerative community. The next day, we get to go deeper. 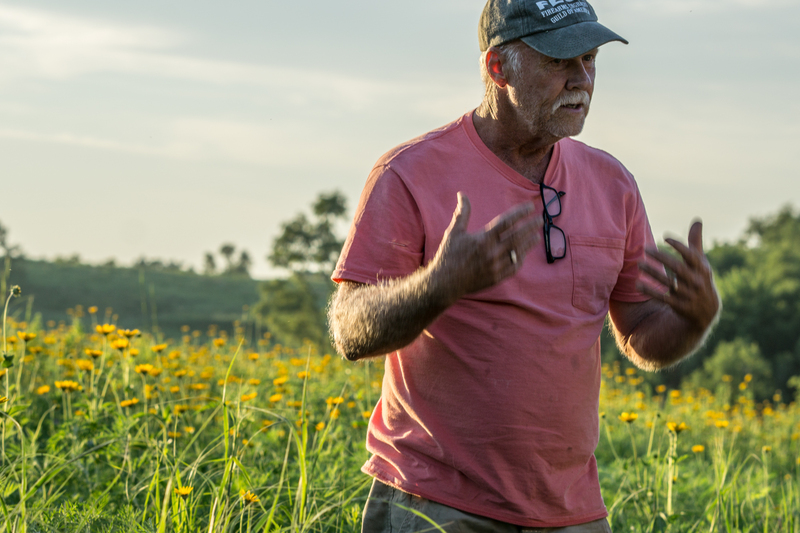 On a tour of his regenerative farm outside Lincoln, where he raises cattle and grows corn and soybeans, Del Ficke is urging us to dig up a handful of dirt and take a good, long hit. 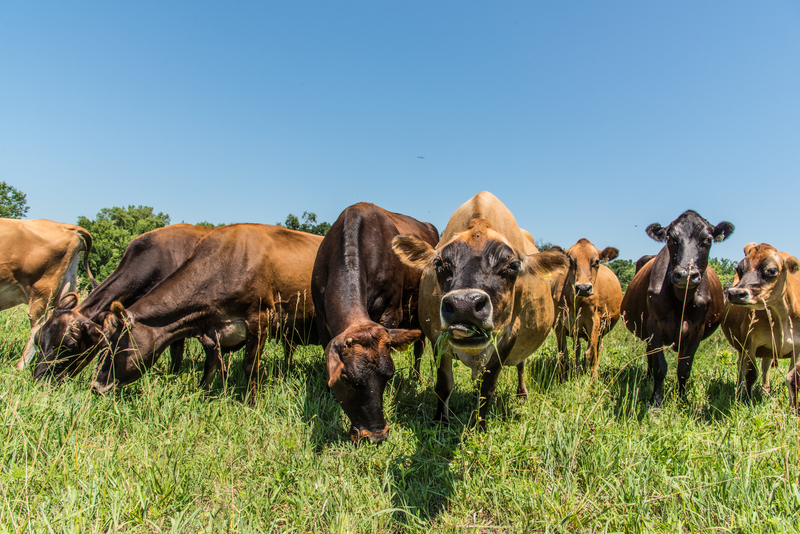 It’s also the foundation of a new food system that can help solve the climate crisis, rather than drive it. Do all of this, explains Nate Belcher, a cover cropping expert who partners with Del, and you’re providing the conditions and raw material for “biology to rock and roll.” It’s all about “getting the soil in balance”: plants essentially pump carbon into that dirt, which helps to stimulate microbial activity, which in turn leads to healthier plant growth. So the result is a kind of virtuous cycle linking emissions reduction, productivity, and the nutritional quality of your harvest. On top of all that, the land gets more effective at filtering water and holding it in the ground, better preparing farmers to face droughts. 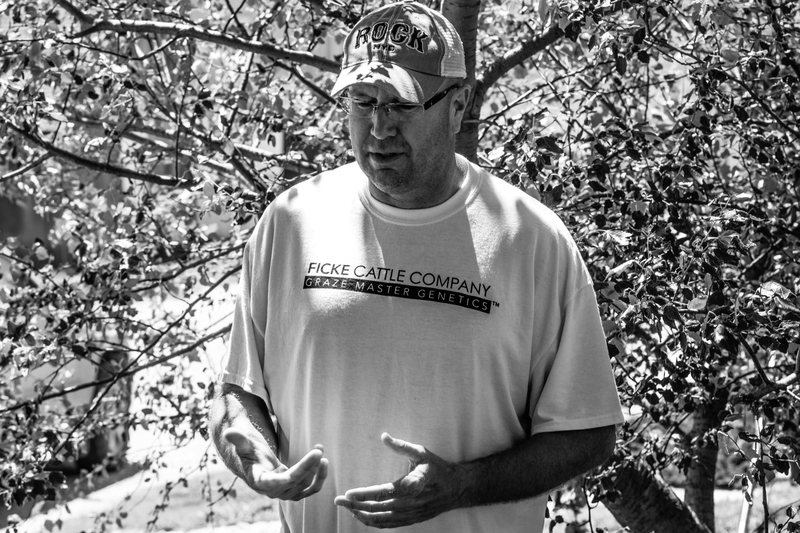 But as a consultant and speaker who travels around the country to talk to farmers interested in making the transition, Del is actually a generous and devoted pusher of the dirt cure. He spent years toiling at the head of his family’s sprawling conventional operation, miserable and dogged by health issues; once he went regenerative, Del was able to cut his fertilizer and pesticide use by about 90%, and tripled his per acre income, freeing him up to re-envision the farm on a manageable, human scale. The 7,000 acres he was leasing became 700. 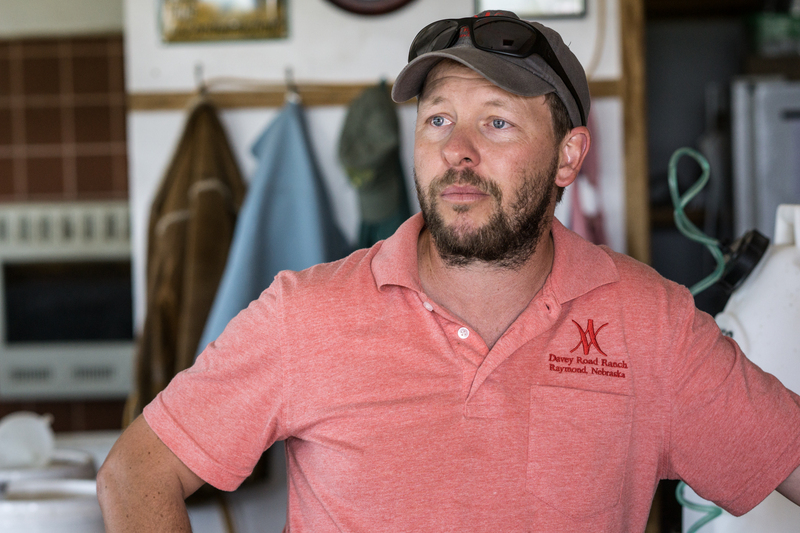 As Nebraska was gearing up for another skirmish with Big Oil at last month’s Keystone XL hearings, Graham Christensen was as conscious as ever that in the fight to stop degenerative agriculture, the stakes are equally harrowing. “The scientific community is saying that we have about 3-5 years to sort this out, just from a climate perspective,” says Graham, a grassroots organizer and environmental consultant who hosted us and created the itinerary for our trip. 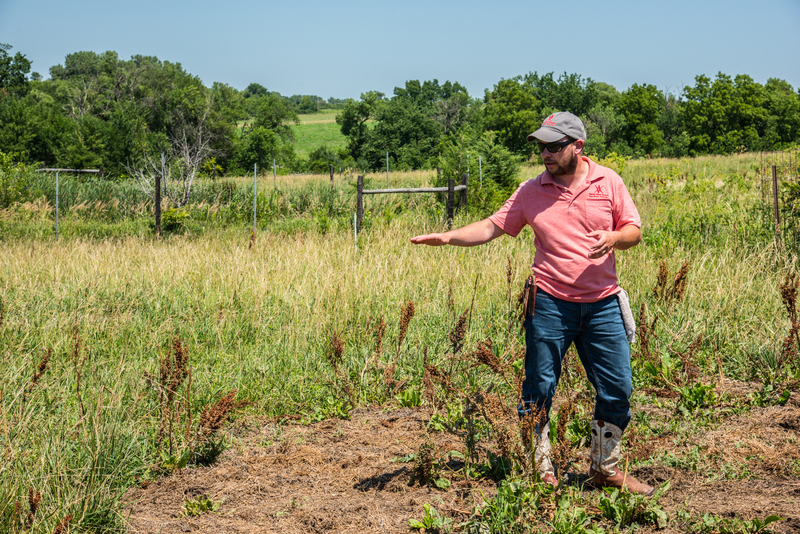 He takes heart that experts are “starting to piece together data showing that regenerative agriculture is the solution,” pointing to research out of Iowa State University in particular. But Graham and his friends are well-aware that convincing studies and inspiring success stories like Del’s aren’t enough—not with Big Ag’s stranglehold on the market, and the death of local infrastructure (independent grocery stores, small butcher shops, community institutions) that once allowed small farmers to thrive. We need to revolutionize food production and distribution from the ground up. It’s not just about re-creating what once was. With the potential to generate more (and more rewarding) jobs on labor-intensive regenerative farms, this is a future that can offer dignified livelihoods to all agricultural workers—and it can bring high-quality food to neighboring cities, getting it into the hands of the poor and communities of color who need it most. In fact, building these broader coalitions is the surest way to overcome the Big Ag behemoth, by forging a movement with even greater force. 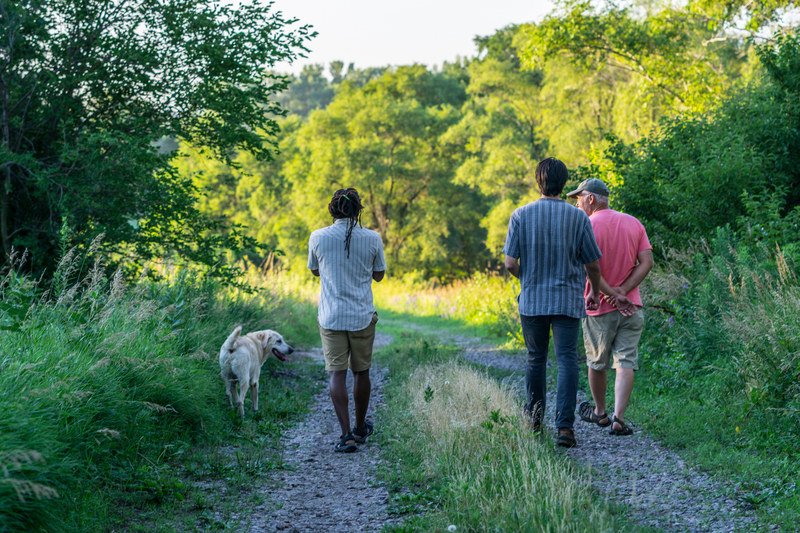 That’s why this group of Nebraskans is coming together to advance a truly holistic solution: a food pipeline to bridge the urban/rural divide, constructed on principles of justice, solidarity, and respect for ecological limits—funneling connection, health, and community to everyone on its path. 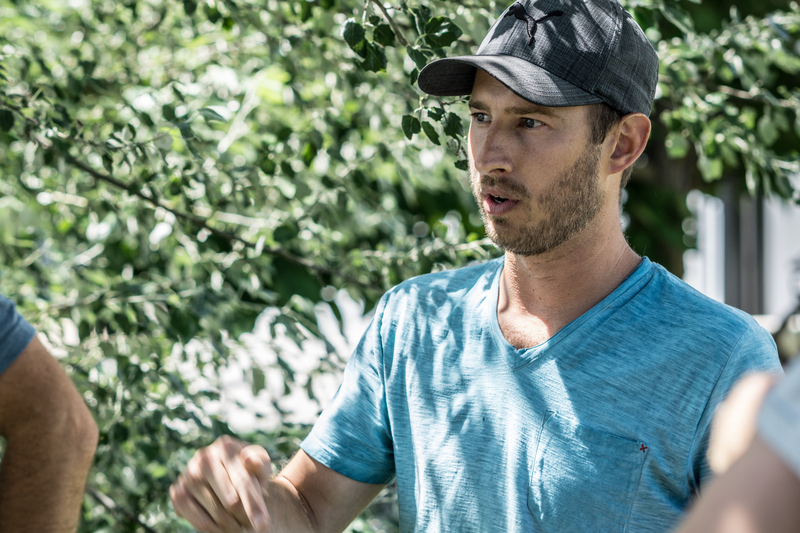 When I ask Davey Road’s Ben Gotschall what kind of structural changes could take this to the next level, he responds that public school systems and universities sourcing their food from regenerative, worker-owned co-ops like Lone Tree—while educating young people about the underlying science and techniques—would be a game-changer. (Lone Tree already supplies food to Nebraska’s treasured college football team, the Cornhuskers.) And at the listening session in Del’s dining room, the discussion ends with several calls to partner with diverse, marginalized allies in the fight for food justice. 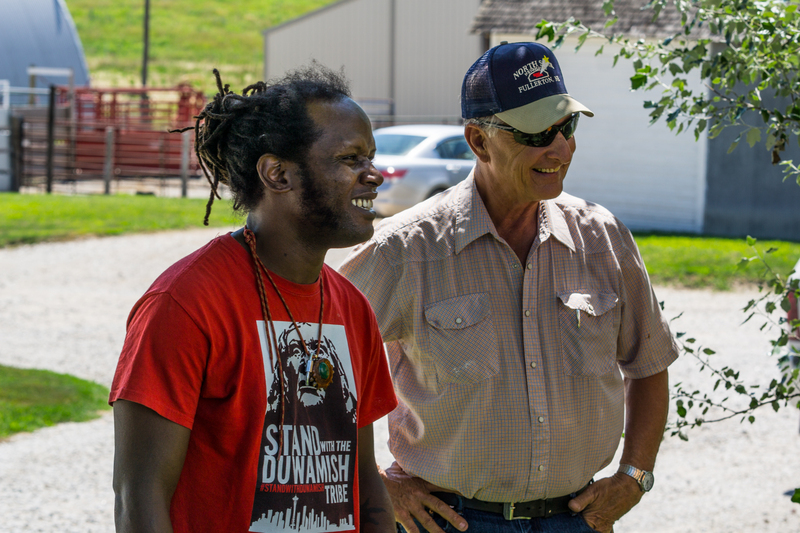 Two of the participants already do permaculture and community gardening work with Omaha’s Black and Latinx neighborhoods, and Del is collaborating with the Pawnee Nation in Oklahoma to grow sacred corn and revive bison herds on their land. 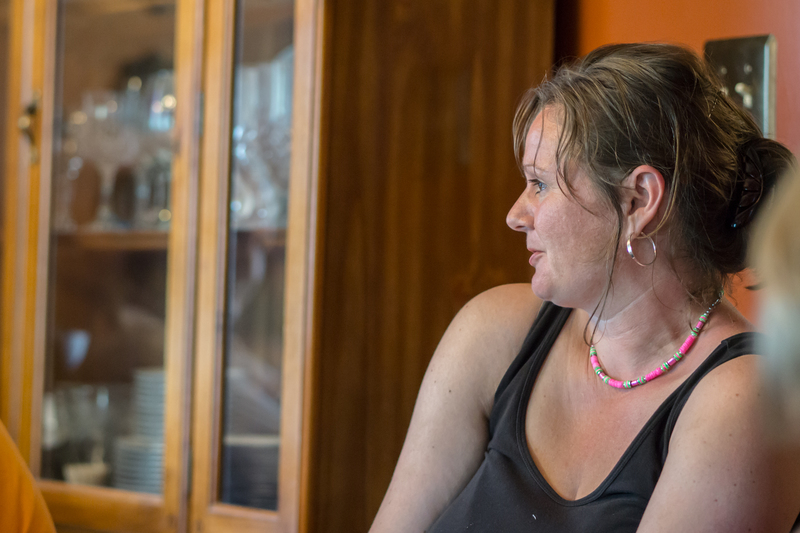 For us, these exchanges bring out the full meaning of “regenerate”: not just to grow something back, but to remake it for the needs of a new moment. 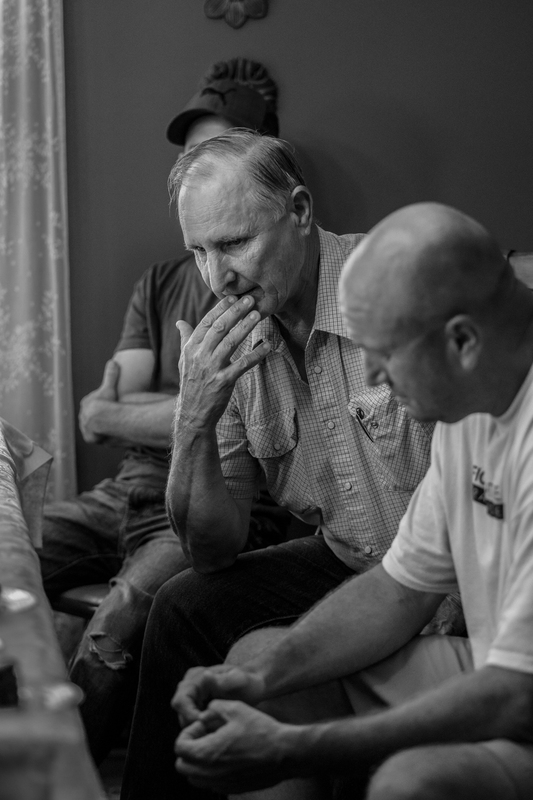 It helps us understand how quickly Jim Knopik’s story can shift to a hopeful one. We learn that he played an important role in resurrecting Nebraska’s cooperative farming model (later taken up by Lone Tree), building close relationships with customers who bought directly from the farm, and that his family has continued to expand those networks. Now, all of his four adult kids live “within 25 miles,” and two of his grandchildren are preparing to farm some of the best land in the state.